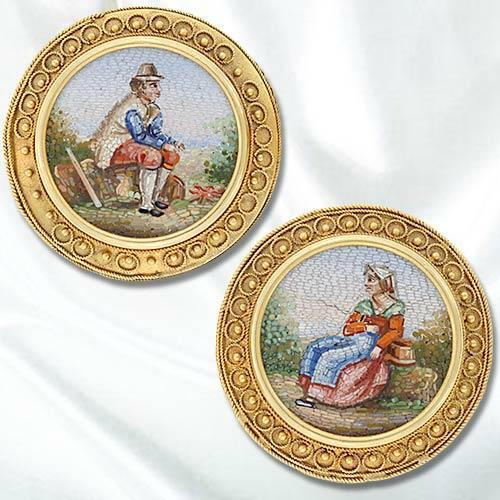 Micro-mosaic is painting, laid with tiny pieces of glass called tesserae. 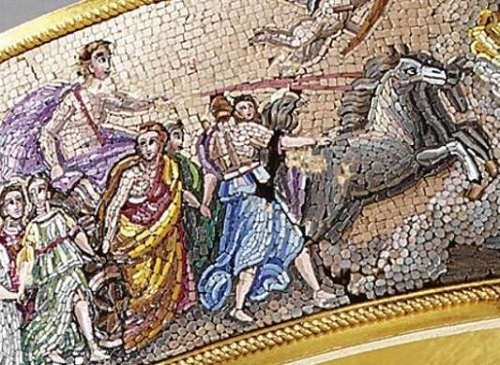 In some cases, the number reached 5000 per square inch (2.54 x 2.54 cm). 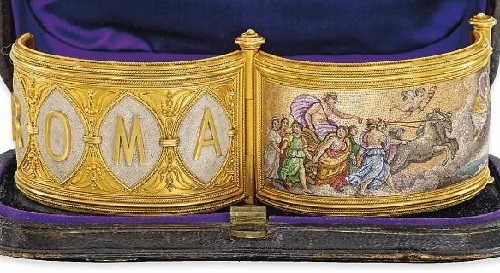 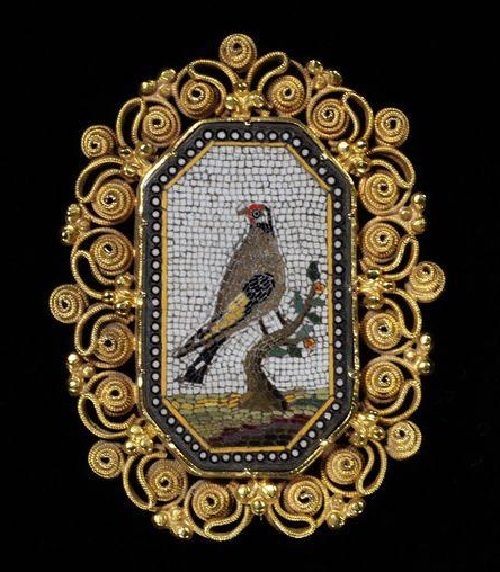 This technique which came into vogue in the 17th century and flourished in the 18th century in the Vatican Mosaic workshop, continues to this day. 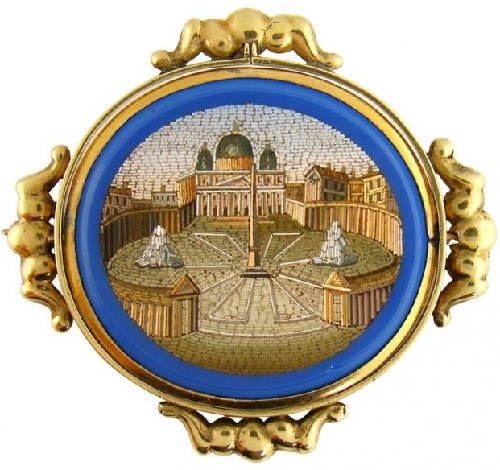 Also there were workshops in Venice and Florence. 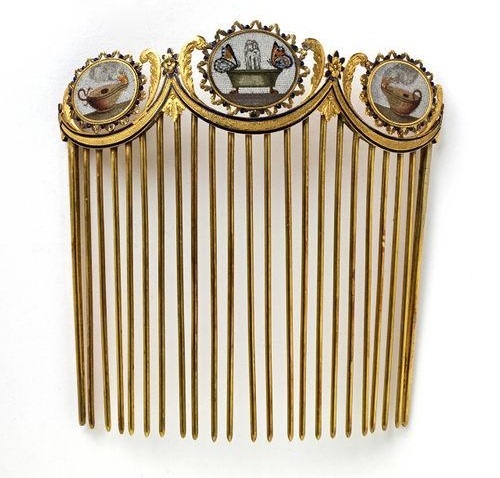 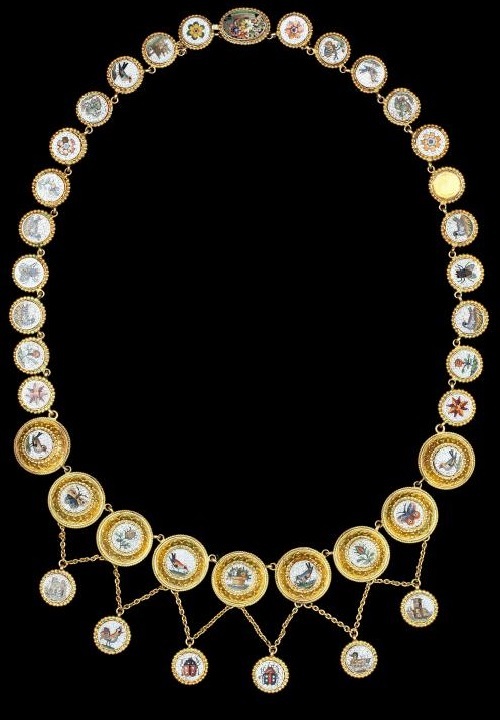 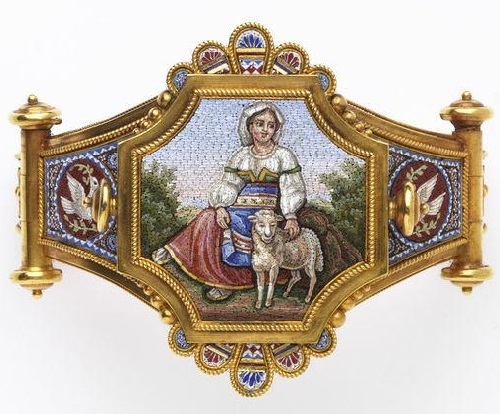 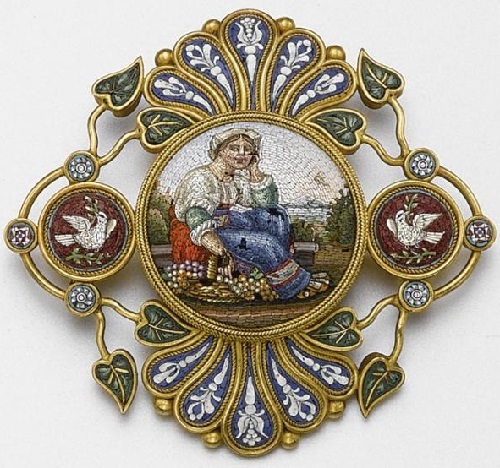 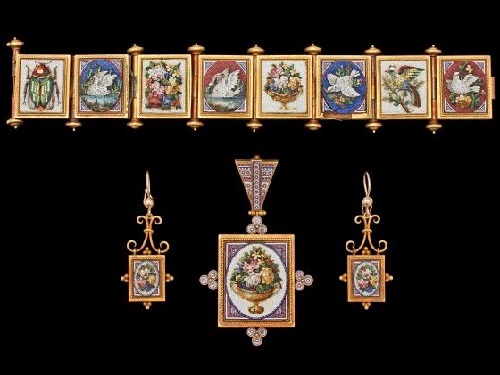 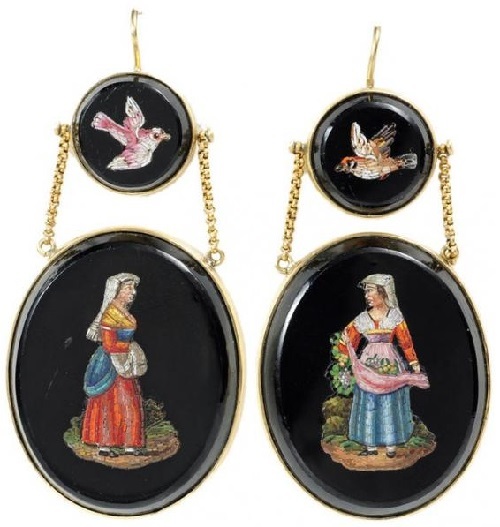 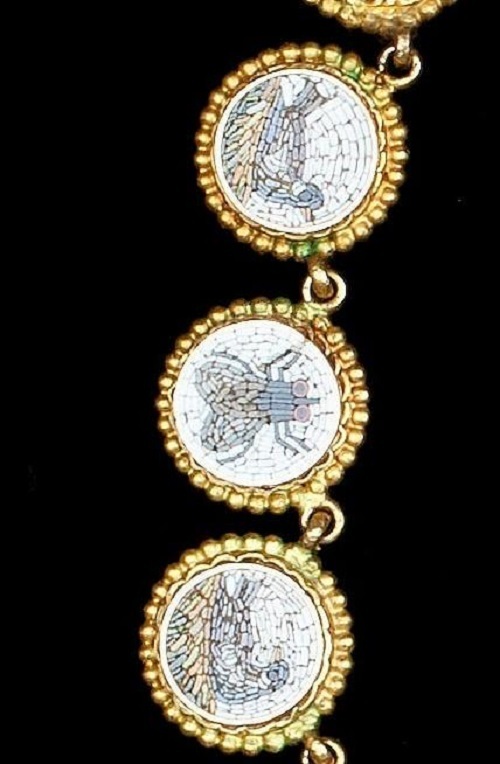 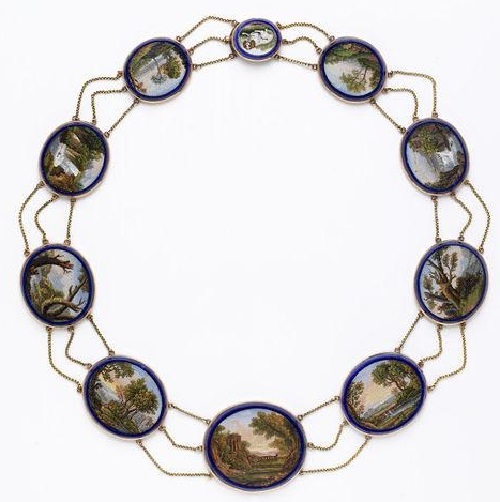 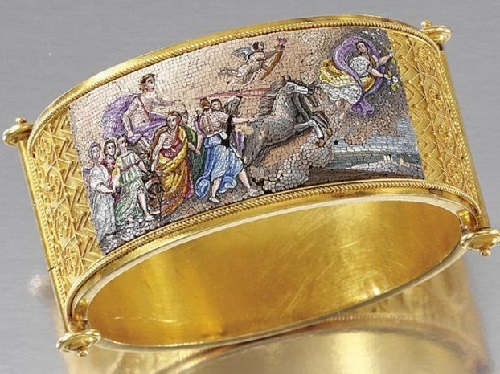 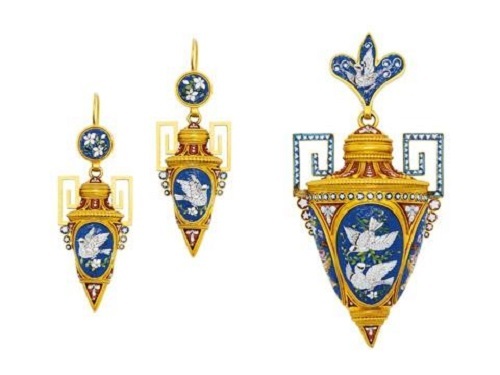 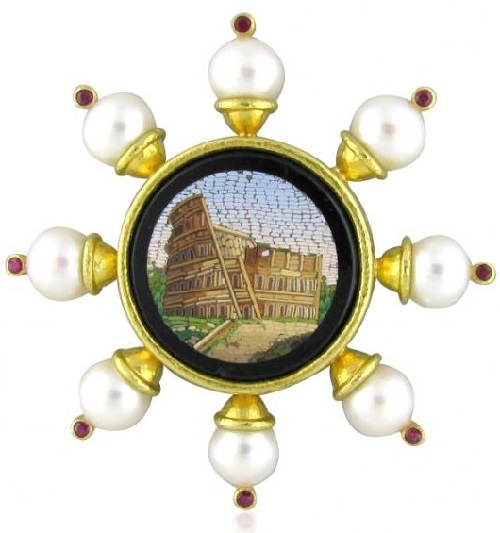 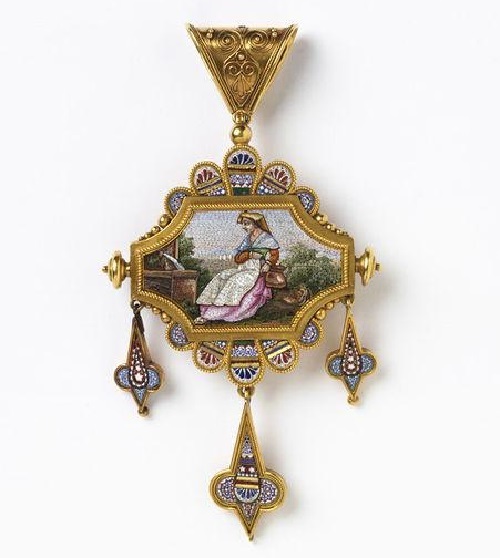 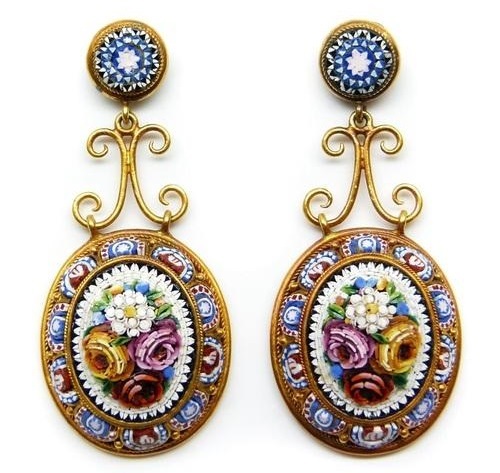 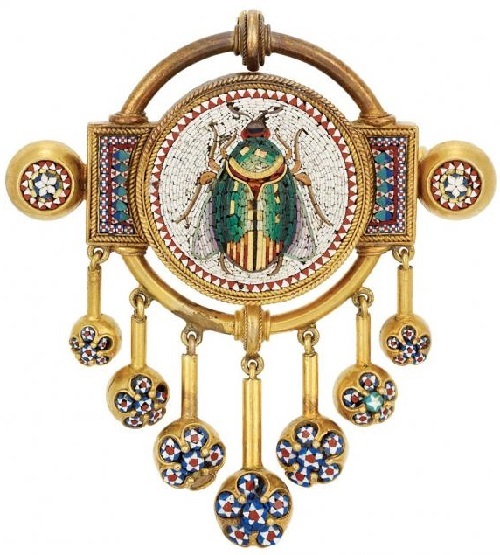 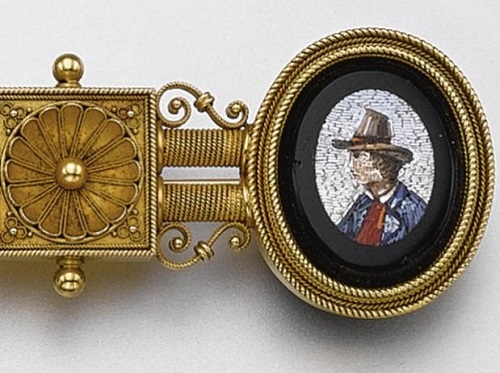 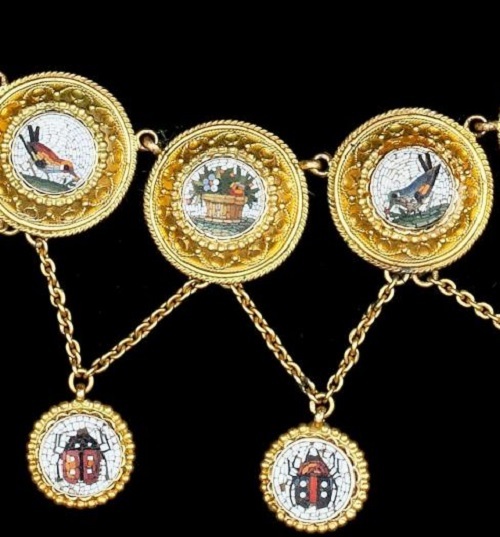 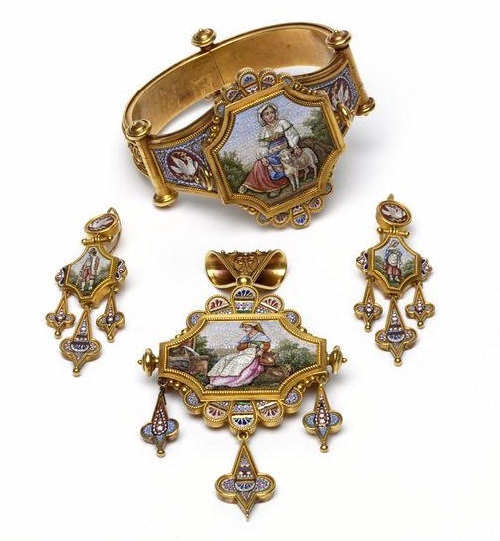 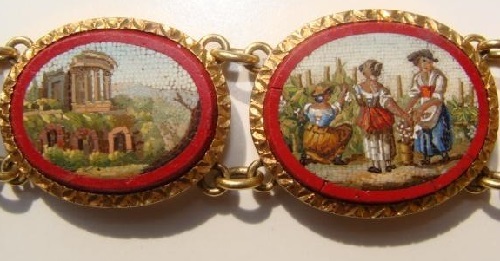 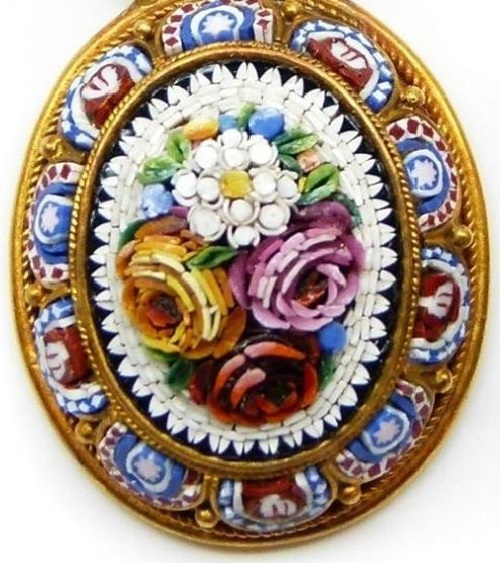 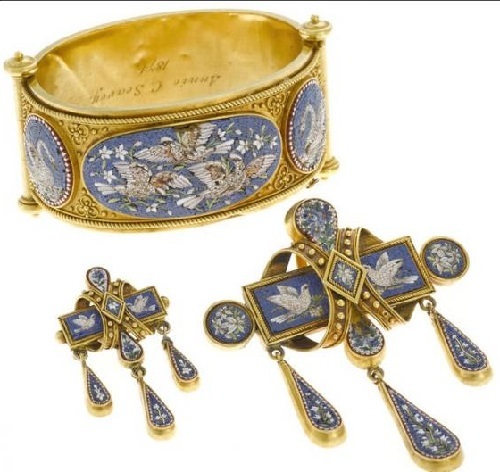 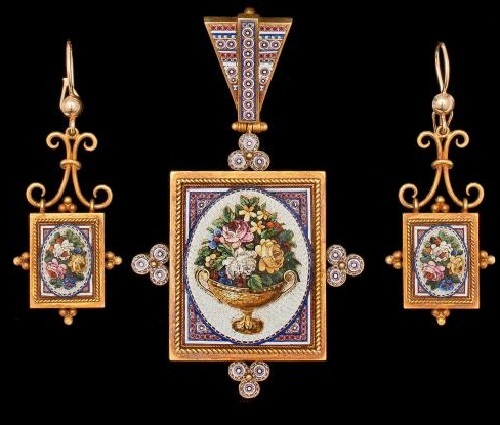 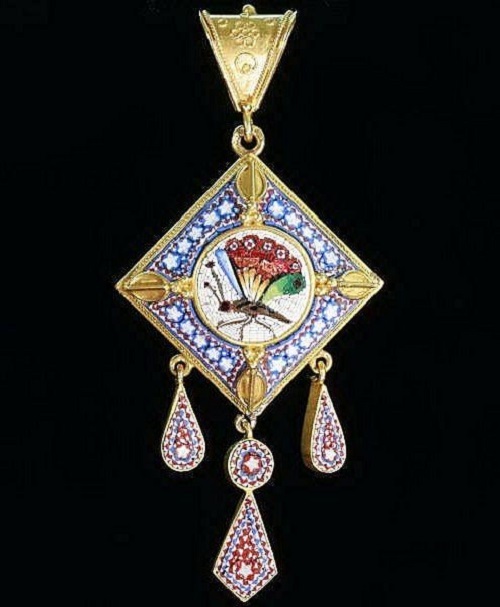 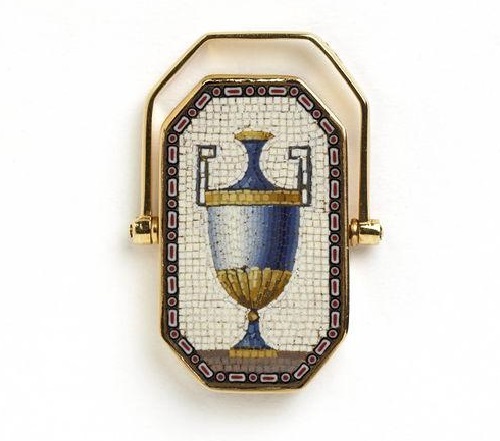 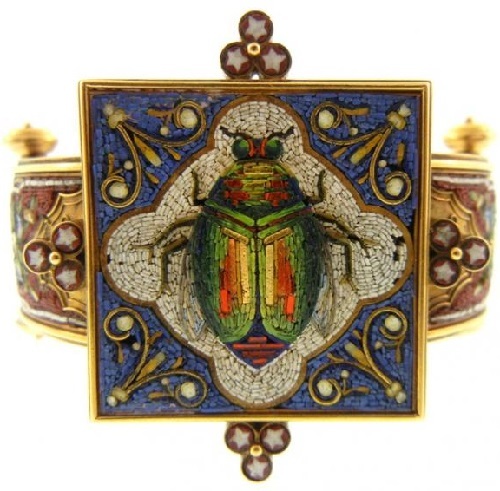 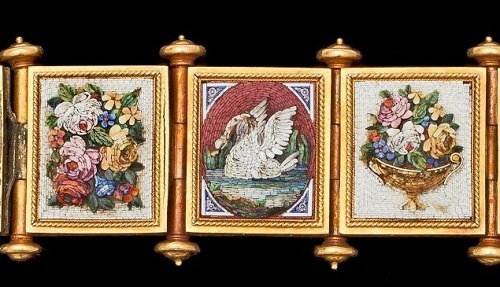 Italian micro mosaic jewelry became popular in the 17-19 centuries in connection with the fashion for travel among the aristocracy. 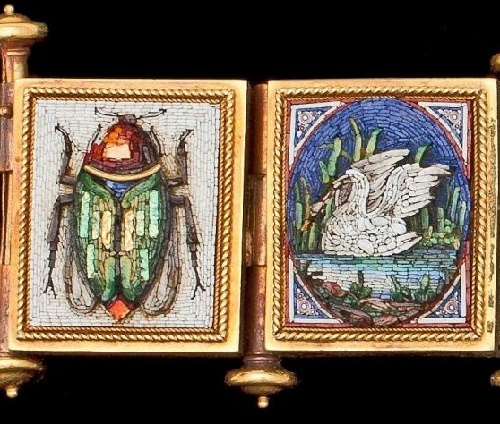 From their trips travelers brought souvenirs – micromosaic depicting historical sites, or sent to their relatives as postcards with pictures on them. 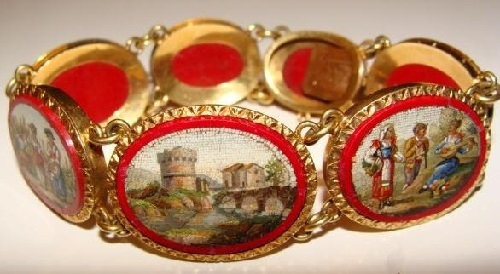 Especially popular were the Italian ruins.